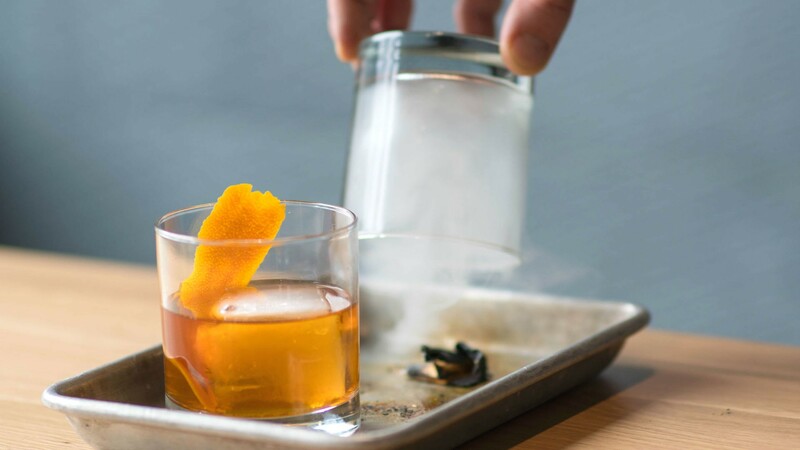 Build this smoky tipple, created with a mix of spices and maple syrup, in time for World Whisky Day. Torch 3-5 pieces of hickory wood chips; cover the smoking chips with a rocks glass. In a tall mixing glass, mix bourbon whiskey, spiced maple syrup and bitters. Add ice and stir. Strain over fresh ice in the smoked glass. Garnish with an orange twist.